This unique cup and saucer set flaunts an aesthetically appealing design. 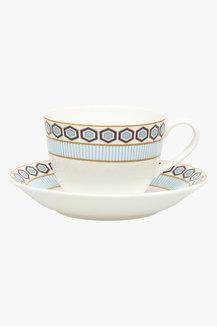 It flaunts a trendy print pattern, which sets it apart from the rest of your crockery collection. 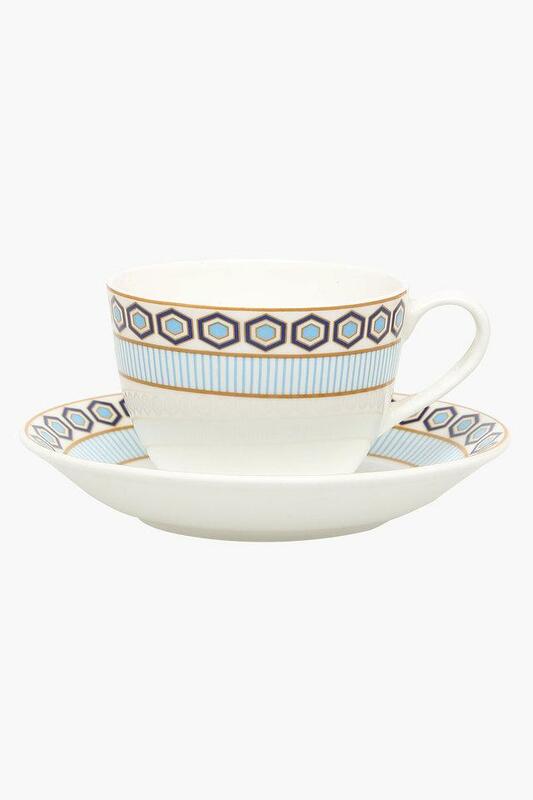 Crafted with the finest quality material, it is easy to clean while boasting of a refined finish. 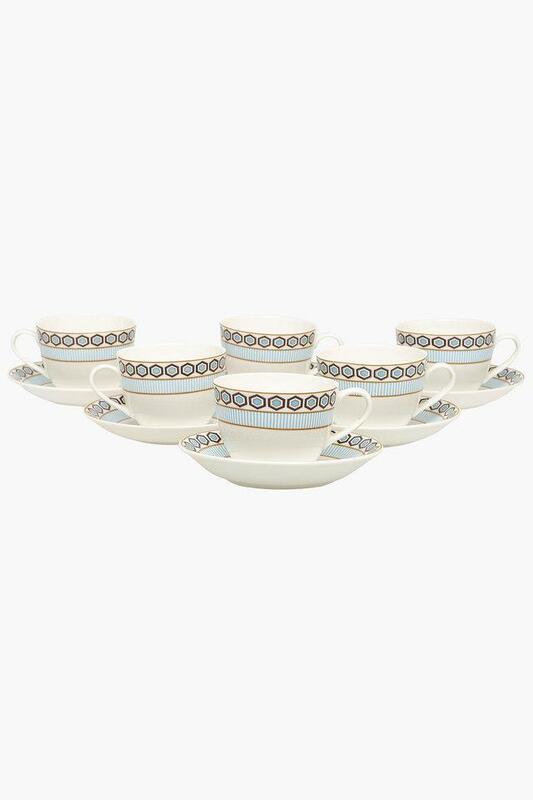 Rev up your crockery collection by opting for this beautiful cup and saucer set exclusively brought to you by Ivy.